Wat Thong Nophakhun was founded since late Ayutthaya period as indicated by the Ayutthaya style pagodas with indented corners. 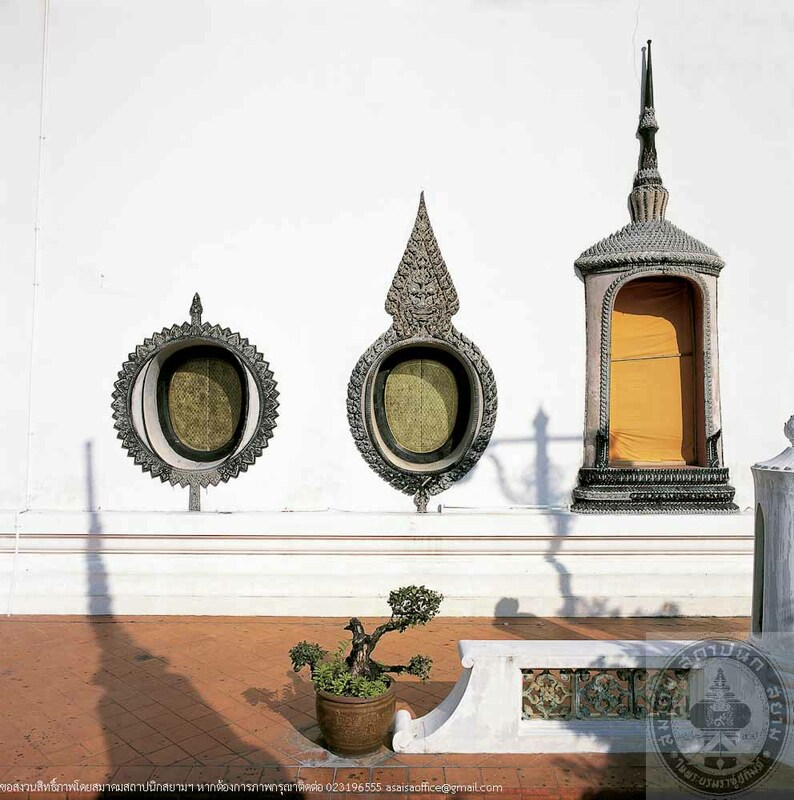 In Rattanakosin period, King Rama III’s reign, Phraya Choduekratchasetthi (Thongchin Krairoek) had the building restored to be dedicated to the King, thus the temple was reestablished as a royal temple. 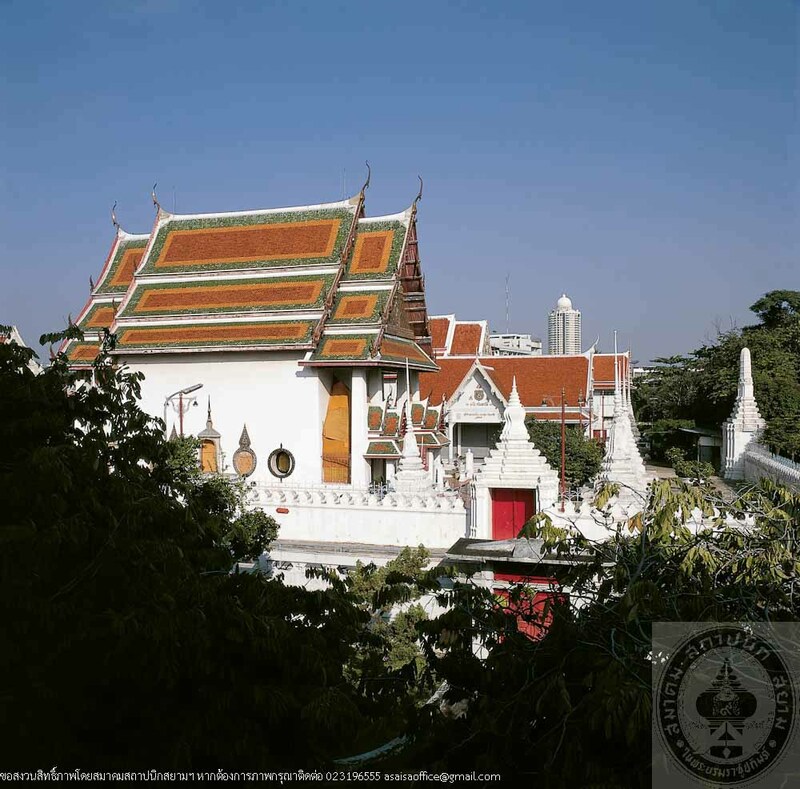 In King Rama IV’s reign, the style of Ubosatha (ordination hall) was changed from the Chinese style favoured bythe former reign to Thai traditional style. 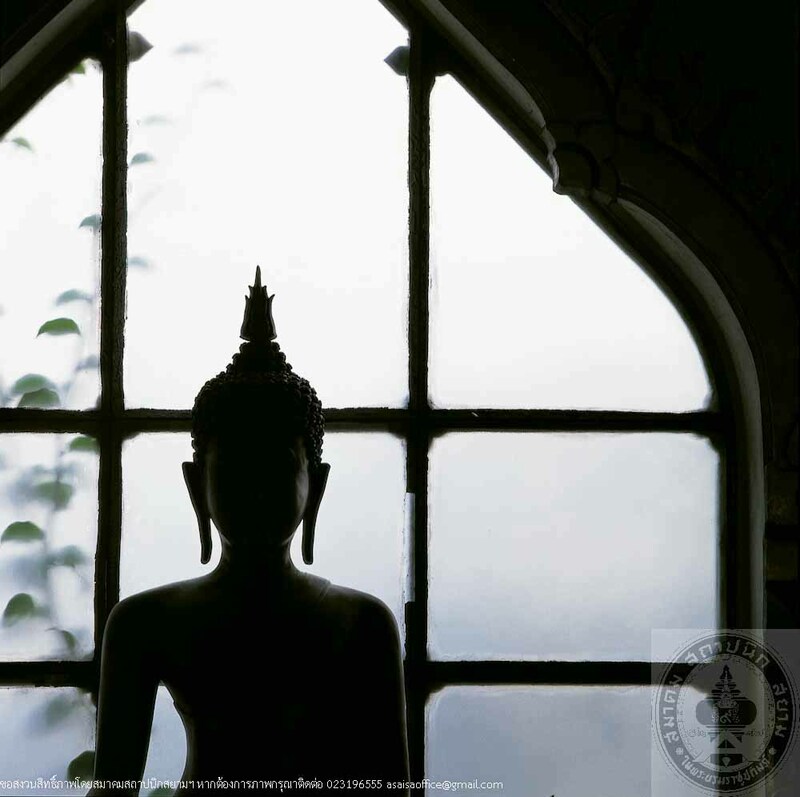 At that time, the abbot was Phra Khru Kasinsangwon (Mi). The most distinguishable and unique feature of the Ubosatha are ellipse-shaped windows which derived from the shape of the monks’ ceremonial fan, flanking the crowned window in the middle. The interior is decorated with mural painting by the abbot, Phra Kasinsangwon, depicting scenes from Vessantara Jataka, Chinese tables, and specially, the opening curtain on the wall behind the Buddha’s image.